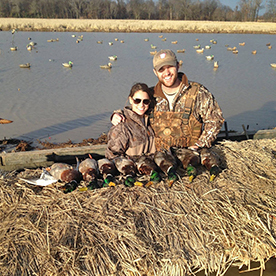 Our duck hunting is among the best in the Stuttgart, Arkansas region. 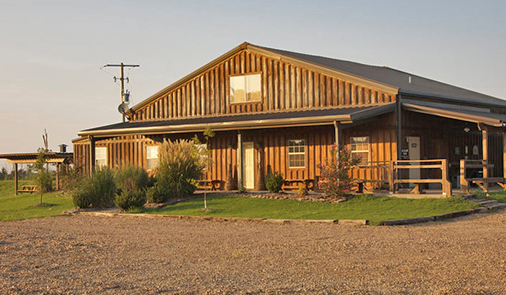 The relaxed, inviting atmosphere - combined with our comfortable accommodations and exceptional meals - make Dry Lake one of the finest waterfowl hunting experiences in the country. 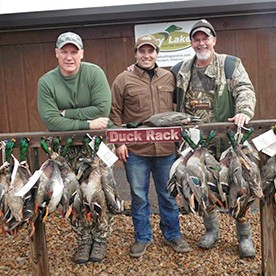 DLHS is a family-owned guide service, and our property is partly owend by DLHS or leased from our immediate family for farming and waterfowl hunting purposes. Dry Lake is located 15 miles south of Stuttgart near the Lodges Corner community and just 2 miles east of Bayou Meto Wildlife Management Area. 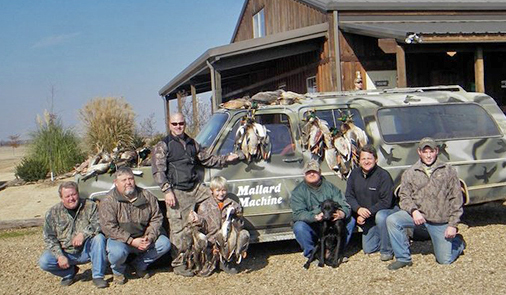 Our blinds are located in the heart of some of the best duck hunting habitat found anywhere. 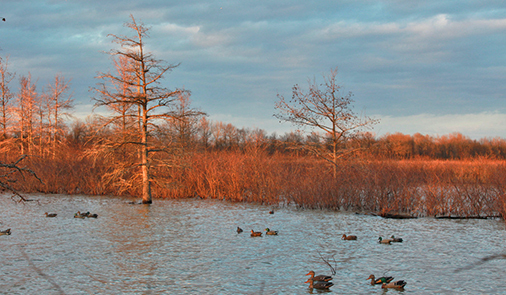 We offer world class hunting for ducks in the heart of Arkansas County. 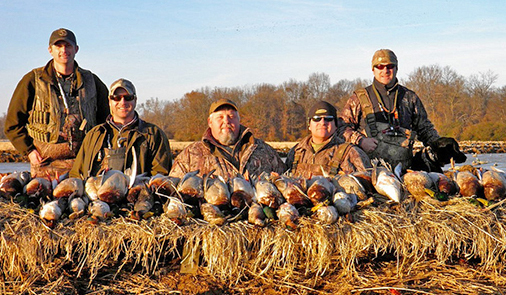 Dry Lake features fun, experienced guides for you and your hunting party to create memories that will last a lifetime. 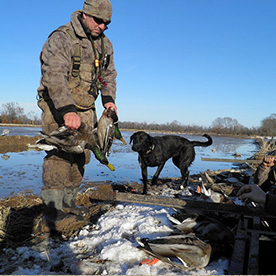 We hunt in small groups in flooded rice and soybean fields, a cypress slough, reservoirs and in pits in unharvested fields. Our lodge was built in 2005 and designed to give you that rustic feel of the outdoors, but with all the comforts of home. As with any outdoor sporting outfitter, your guides are the back-bone of the operation. DLHS offers field hunts, in comfortable pit blinds, and flooded timber hunts from our spacious slough blind. To make your reservation for a hunt, a stay at our lodge or to obtain more information on DLHS, complete the form below and email to us. We will follow-up with you within 24-48 hours...or sooner. Thanks in advance for your interest in Dry Lake Hunting Service. We look forward to the opportunity to be of service. © Dry Lake Hunting Service. All rights reserved.